Have you heard of forest bathing? Have you ever done it? If you’re tired of the same-old crowded tourist traps, you might want to check it out and other unique things to do that won’t break the bank on your next trip. 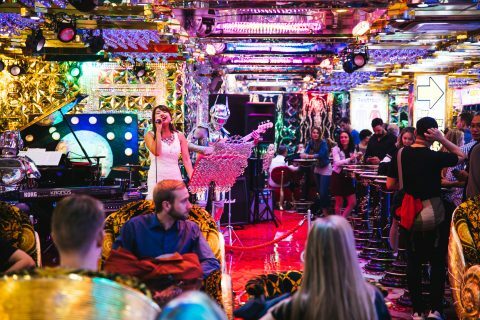 TripAdvisor Experiences released a list of some of the world’s quirkiest budget travel experiences, from go-kart touring to ice floating. 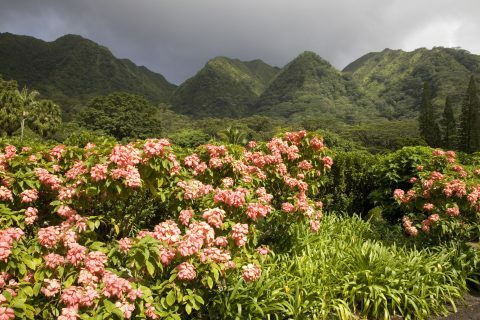 Here are nine experiences to consider on your next vacation. You’ve probably never been paddleboarding like this. Conquer your fears of the big deep with a 3-hour nighttime tour that offers incredible views of the city. 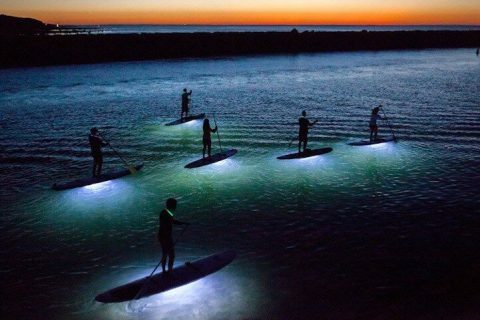 Your stand-up paddleboard will be fitted with LED lights so you can see the marine life below you as well. The $110 experience also includes dinner. Just outside of Seattle, you can escape the city bustle and enjoy an hour-long outdoor yoga class on a ranch. 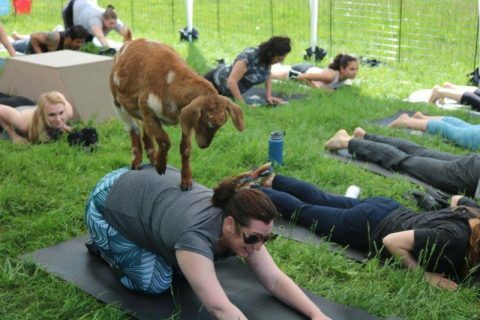 The twist is that the ranch’s goats also participate in the class and might even clamber over you while you’re doing cat and cow poses. One class starts at $35. So you’ve done the bus tours and bike tours and possibly even the Segway tours to see a city, but have you ever done a go-kart tour? 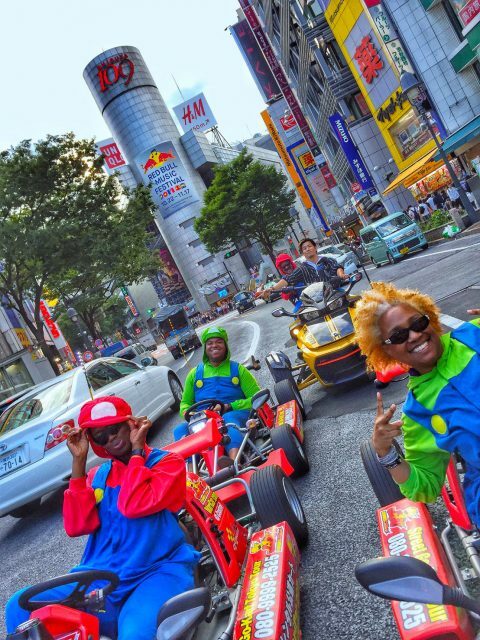 This go-kart tour of Tokyo even comes with costume rental, so you can see the city dressed as some of your favorite characters from video games, comics and anime. For as little as $70, you could live your Mario Kart dreams. River bugging is like a cross between rafting and tubing. You’ll get outfitted with a wetsuit and a tiny raft, so you can navigate the River Dee and take in the scenery. Just make sure you know how to swim. The $72 experience lasts for three hours. Sometimes historic sites are a lot less impressive when travelers are thousands of years removed. This guided VR-tour gives travelers a chance to experience Pompeii before Mt. Vesuvius buried the city. The guide will walk you to the main attractions of the ancient city to watch 360-degree video re-creations on your headset. The price starts at $34. This is not hiking. Forest bathing is an opportunity to aimlessly walk or sit in the forest, letting you and your mind wander. The $25 experience ends with an informal “tea ceremony,” during participants will get to try a tea and a snack made from some of the very trees they’ve been amidst. New Zealand is an adventure capital, but if bungee jumping and sky diving isn’t enough for you, try some stunts in the shark machine, one of the only ones operating commercially in the entire world. 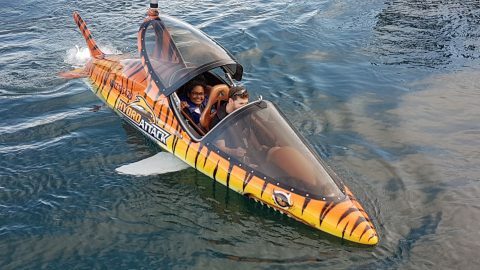 You might experience dives, rolls and all sorts of fighter-pilot like maneuvers on these vehicle built for water and air. The one-on-one ride with a pilots ranges from $93 – $107. No need for a boat or raft in this type of water travel. 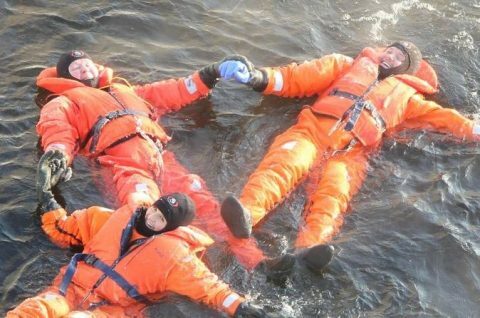 Participants will get a dry, waterproof rescue suit so that they can float down frozen waters that will bring you right to Olavinlinna Castle. The experience starts at $58.